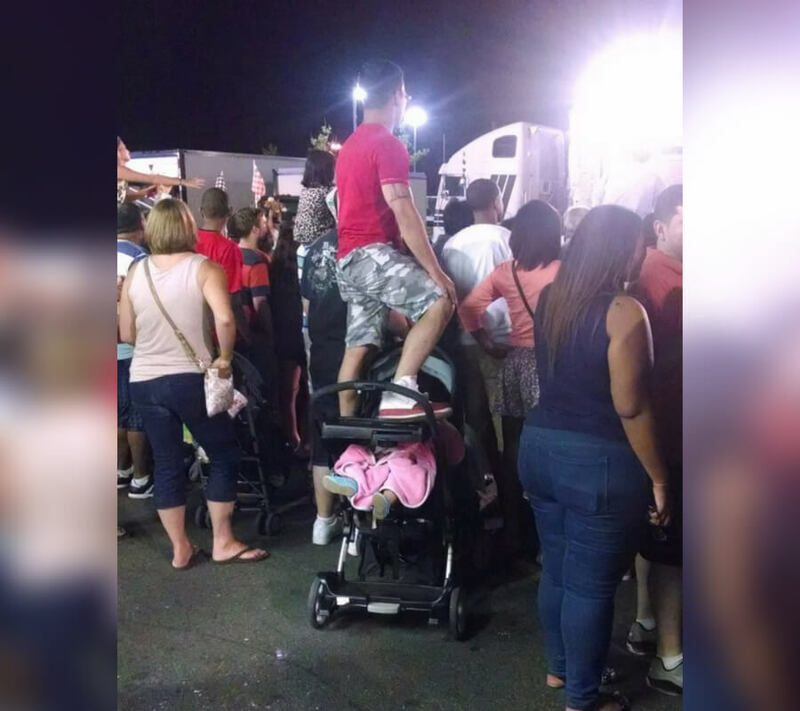 There’s nothing wrong with trying to figure out different ways to use a stroller, but I don’t think this is one of them. We get it. Trying to see a concert when you’re average height and in the standing room poses it’s visibility threats, but, there are other ways to do it. Perhaps he could ask a stranger to get on their shoulders?